When Facebook CEO Mark Zuckerberg spent two hours in a hearing with US senators last month, he quipped that he would be fine to continue without a break. But he was not keen to stay much longer than agreed when he met members of the European Parliament on Tuesday (22 May) in Brussels. "I want to be sensitive to time because we are 15 minutes over," he said, after answering questions for less than half an hour. When Zuckerberg said he felt he had answered most questions, some MEPs got angry. "I asked you six yes-or-no questions, I got not a single answer," said Green Belgian MEP Philippe Lamberts. The meeting of leaders of the parliament's political groups then got bogged down in a procedural discussion about how to follow-up on unanswered questions. It was a display that non-regular watchers of EU politics, Zuckerberg included, would probably find strange, but it was a fitting end to a hearing that was doomed to disappoint from the start. The 34-year old boss of the world's largest social network - of which around half of the EU's population is a member - came to the EU parliament to explain what happened in the data breach involving Cambridge Analytica, which affected up to 2.7 million Europeans. 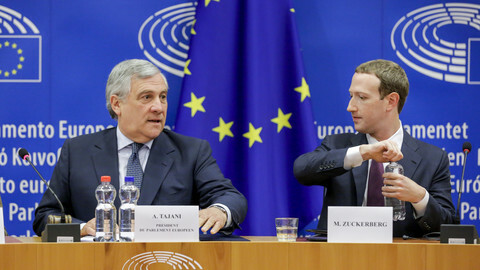 It followed a public campaign by many MEPs, including its president Antonio Tajani, to convince Zuckerberg to come to Brussels. 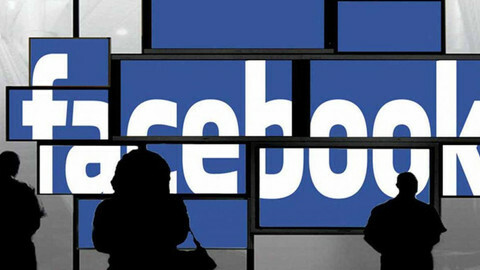 Initially, Facebook's CEO had only appeared in front of the US senate and house of representatives, and said that he would send lower-ranked representatives to other countries. That Zuckerberg decided to appear in front of MEPs was, in and of itself, no small feat - even though the discussion was originally going to be behind closed doors. On past occasions, the EU institution has found it difficult to get CEOs of scandal-ridden companies to appear as witnesses. The EU's 28 national governments have never given the European Parliament subpoena powers, so when MEPs were investigating the car emissions cheating scandal known as Dieselgate, they had to meekly accept that only lower-ranking executives of Europe's car companies came to testify. Another parliamentary inquiry committee that investigated tax evasion was unable to convince all but one company - Ikea - to have its CEO show up. 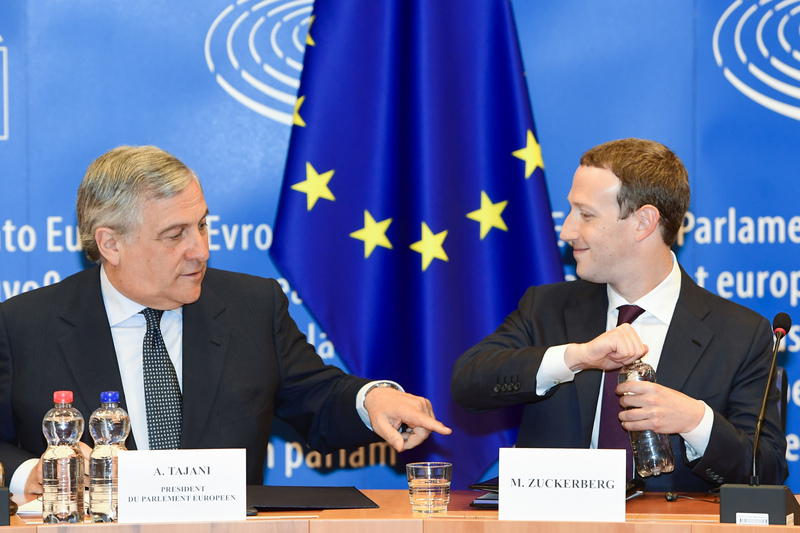 Tajani did not hide how happy he was with Zuckerberg's decision to travel to Brussels. "This is an important mark of respect towards [the] European Parliament and the European citizens that are represented here," said the Italian politician. 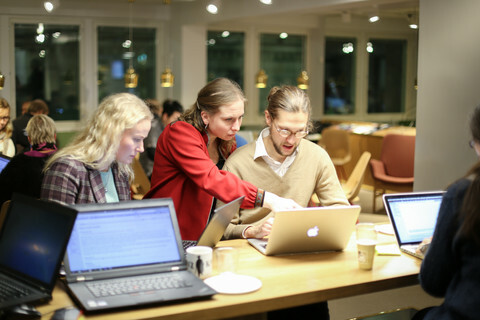 The meeting came almost one year before the next European Parliament election, at a time when the institution is continuing its quest for legitimacy and vying with the EU's 28 national parliaments to be the EU citizens' democratic voice. Perhaps MEPs even felt schadenfreude that Zuckerberg chose to appear in front of the European Parliament, but not in front of the UK's lower house of parliament, the House of Commons, although they did not mention that out loud. The relevance of the EU parliament was displayed by none other than Nigel Farage. The British anti-EU MEP is rarely seen in Brussels since his compatriots voted in mid-2016 to go with his desire to leave the EU. But, ironically, the only way for Farage to ask Zuckerberg a question was to do so in the EU assembly. His question was whether Facebook's fact-checkers, which take down fake news from the social network, were neutral. Farage's implied accusation was that Facebook was deleting what he called "conservative" views that went beyond mainstream ones. But Zuckerberg answered that the company makes it fully public and transparent who its "third party fact-checkers" are. It was one of the few MEPs' questions that received a direct response, creating an awkward atmosphere. At one point, Zuckerberg abruptly changed the subject when British Conservative MEP Syed Kamall insisted that his question had not been answered. For the most part, Zuckerberg's replies were just soundbites from what he had earlier told US senators and journalists. But if MEPs felt let down, they also had themselves to blame. 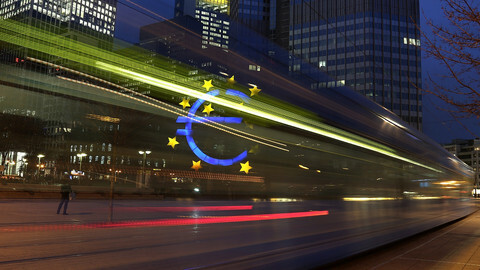 The meeting was held in a format called the Conference of Presidents and highlighted the EU body's clunky mechanisms. The Conference of Presidents is a group that consisted of the leaders of the eight EP political factions, as well as a handful of MEPs with relevant experience in data-related bills. Zuckerberg gave an 11-minute long opening statement. Each of the 12 MEPs then asked questions in a 45-minute segment. 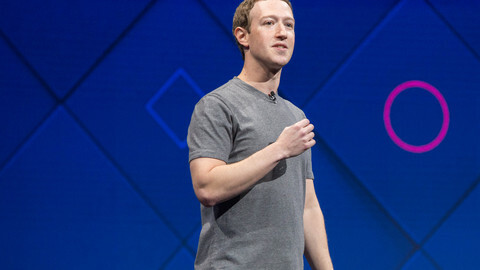 The Facebook CEO delivered his replies en bloc in a final 26-minute section and left. The lack of EU debate stood in contrast to the US hearings, which saw back-and-forth interrogation by congressmen, even if their questions sometimes betrayed low levels of technological knowledge. The opportunity for a debate was there, as several MEPs had come well prepared. But it was also lost amid long-winded speeches instead of zinger questions. "I'll try to be brief," said British centre-left MEP Claude Moraes, towards the end of an almost five-minute long oration, with no trace of irony. Tajani defended Zuckerberg at a short press briefing after the event, saying his guest had answered "many of the questions". He also defended the Conference of Presidents format for the meeting, which was his personal proposal. The format is the normal way of holding "exchanges of views" in Brussels, but there are no rules that would have prevented Tajani from introducing a more adversarial, US-style Q&A. MEPs from most groups took to Twitter to complain of a lost opportunity, but that was also disingenous. If the leaders of the political groups that represent a majority in the parliament had demanded a different kind of hearing then the format would have been changed. 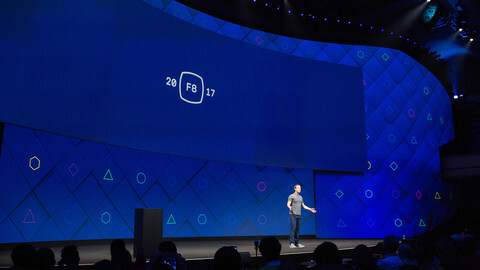 Meanwhile, the meeting inadvertently highlighted Facebook's ubiquity. Ahead of the discussion, the parliament's Twitter accounts advertised to citizens that they could watch the debate via Facebook instead of using the European Commission's own audiovisual services. French far-right MEP Nicolas Bay sent out a press release about his questions to Zuckerberg on Facebook, forcing all EU citizens interested in what Bay had to say to use Zuckerberg's platform. Several MEPs also opted to keep the tone light despite the gravity of the data privacy issues at stake. Belgian liberal Guy Verhofstadt came out of the blocks with a tirade against Facebook's monopoly, but he also joked that thanks to Facebook Live he was able to follow the beginning of Zuckerberg's opening statement while on his way to the room. Farage boasted he had the most Facebook followers in the room and was therefore Zuckerberg's "best client here". The asides brought fleeting smiles to the CEO's face, who came out looking like a celebrity. 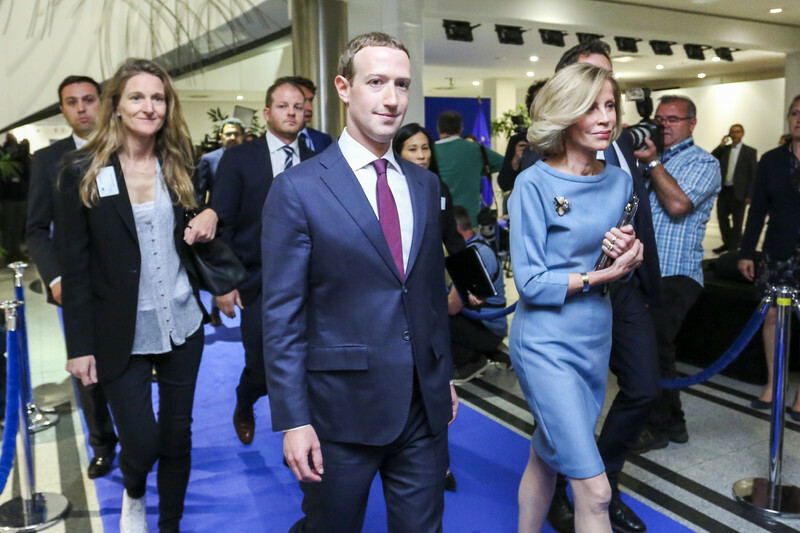 Following the hearing, Swedish liberal MEP Cecilia Wikstrom, one of the MEPs who had asked questions, even posted a photo of herself with Zuckerberg as if she was meeting one of her heroes. 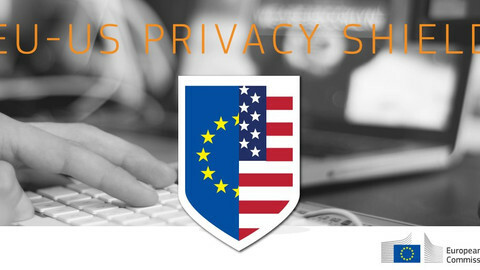 Giovanni Buttarelli, the European data protection supervisor, says the EU-US data sharing pact known as Privacy Shield will play an increasingly minor role given the general data protection regulation. [UPDATED] Last month's 'hearing' with Facebook CEO allowed him to give only general or evasive answers about the data breach scandal involving Cambridge Analytica - partly due to the controversial format of the meeting.